The Wisconsin Department of Transportation (WisDOT), in coordination with the City of Superior, is reconstructing US 2, Belknap Street, from Banks Avenue to Hill Avenue. Belknap Street is both a principal arterial and an oversize/overweight truck route, and it connects the Wisconsin US 2 corridor with Minnesota. This project replaces 1.4 miles of concrete roadway, upgrades the storm sewer system, and improves safety on Belknap Street. 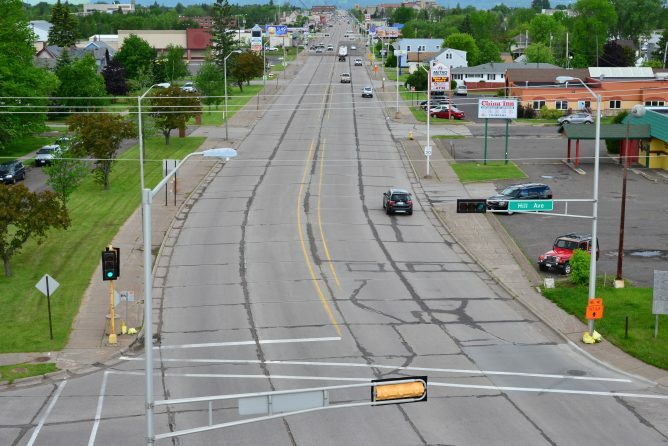 The project also includes improvements on most of the connecting side streets north and south of US 2, Belknap Street, back to the respective alleys.